“The Struggle of the World’s Oldest Hunger Striker” tells the story of Bapu Surat Singh Khalsa (born March 7, 1933) through the voices of his family and activists who helped introduced his struggle to the English-speaking world. Surat Singh Khalsa has been detained 8 times since beginning his hunger strike on January 16, 2015. Repeatedly force-fed and drugged, he remains imprisoned at Dayanand Medical College & Hospital (DMCH), Ludhiana, Punjab since August 27, 2016. 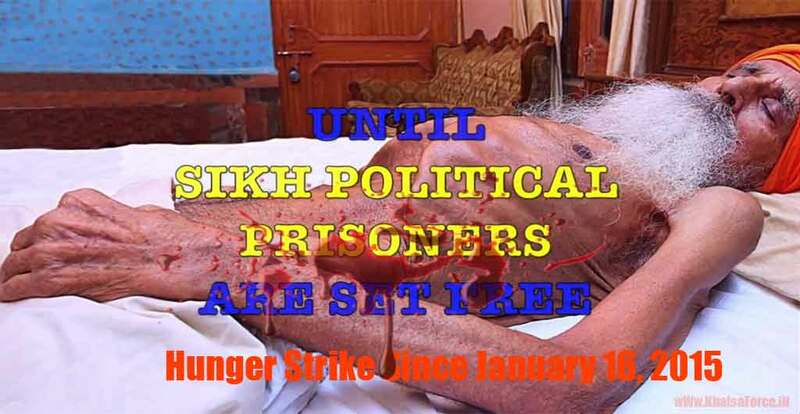 Khalsa still refuses to eat until Sikh political prisoners are set free. Surinder Singh and Mandeep Kaur variously refer to Bapuji as “82” or “83.” The clips in which they are speaking were filmed between March and June, 2015, when Bapuji was just passing into his 83rd year of life.